Following from the demand of some of our most dedicated fans at Escape Reality Leeds wanting to make the ultimate great escape, we coordinated a competition to challenge our biggest fans to escape all our rooms in one exciting marathon event at our escape rooms in Armley. Featuring a mammoth task of beating each of our seven rooms(Alcatraz, Jungala, The Iron Kingdom, Machina, Apocolypse and Down the rabbit hole) competitors in groups of four took on the challenge of all 7 rooms, back to back, in 7 hours. With different themed rooms featuring tough linear puzzles, beating each room back to back was a true test of endurance and mental agility. Teams faced tough challenges to escape all the rooms at our Armley road branch and many fell at even the first hurdle, with some getting half way and a few coming very close to making their great escape; however one team managed to face the marathon and emerge as true escape chamions. With a real varied group of experience our Escape Room Leeds marathon winners took to task the varying difficulty elements in each room with ease- tackling the linear puzzles in Alcatraz and Apocalypse with logical thought and calm and the multiple method challenges in Jungle and Iron Kingdom with experience and poise. There we’re a few close misses in Machina, before the team emerged victorious; our first ever Escape Room Marathon winner. We have now created a leaderboard in our Armley Road branch in Leeds, due to increasing demand to knock the current winners off their top spot; therefore aspiring escape victors can still take part in a group of four, tackling 7 rooms in 7 hours, with the team each team escaped taking them further up our Escape Reality Leaderboard based on the most competitively timed escapes individually and as a total tally. The cost to take part is £90 per person for the whole experience! 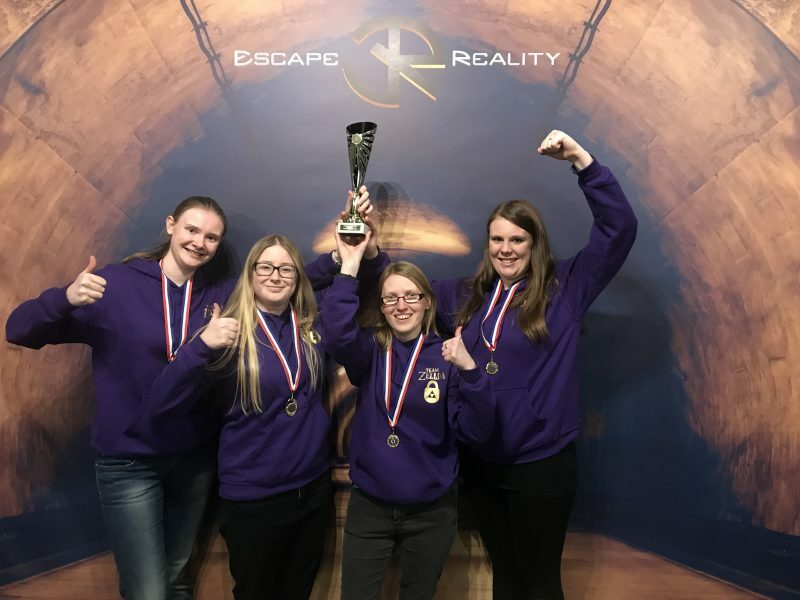 Book now online at escapereality.com/leeds or by calling our friendly team on 01133 720777 to avoid disappointment and to earn the greatest escape room bragging rights, not just for escape rooms in Leeds, but the whole of the UK. Alongside our escape marathon, we have seasonal escape room offers available and each room is available to experience individually- if the thought of a marathon is somewhat daunting. In teams of two up to six, you can experience a truly immersive experience at Escape Reality Leeds; the perfect family outing, team working event or just a social occasion with friends, our facility boasts in addition a multi floor laser quest and icombat arena, party area and refractory, with refreshments and food available regardless of the size of your party, by request.